The Buffet Crampon clarinet has a long and prestigious history. 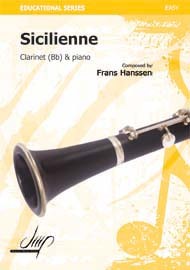 This clarinet is the instrument of choice of professional clarinetists around the world, and the company is renowned for the quality of its workmanship. 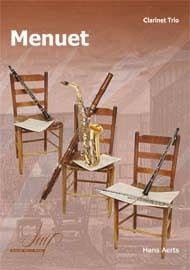 The Buffet Crampon brand supplies many different clarinets from the clarinet family, including the basset horn. In 1825 a French instrument maker named Denis Buffet-Auger established an instrument making business in Paris, where he made 13-key clarinets. Five years later his son took over the business, and the name was changed to Buffet Crampon when the son married Zoé Crampon. The logo that is used by Buffet Crampon has been in use since 1844. 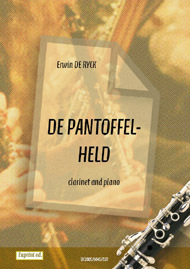 Denis’ brother-in-law joined with clarinetist Hyacinthe Klosé (then working at the Paris conservatory) to develop the clarinet further. It was these two men who adapted the Boehm key system for use on the clarinet in 1839. Many famous clarinet players chose to use buffet crampon instruments. Many of the lead and first clarinets of major orchestras play a Buffet Crampon, and the instrument is especially popular in France, and with players who have trained in France. French clarinetist Guy Deplus for whom such pieces as Olivier Messiaen’s "Oiseaux exotiques" and "Et Expecto Resurectionem Mortuorum" were written, plays Buffet Prestige B flat and A clarinets, and many top clarinet recordings have been played on Buffet Crampon instruments. The company is now part of The Music Group, a company that owns companies that were previously part of the Boosey & Hawkes Group, which had bought Buffet Crampon in 1981.